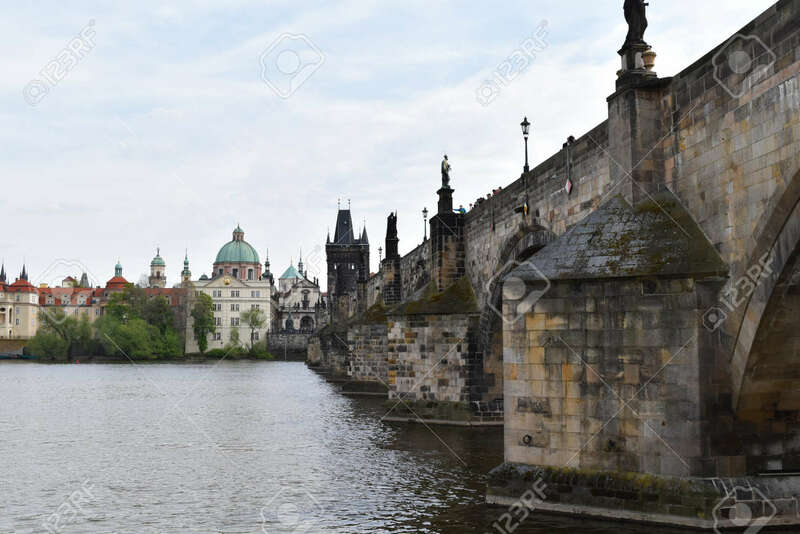 A View Of Charles Bridge On The Vltava River And The City Center.. Stock Photo, Picture And Royalty Free Image. Image 94108514. Stock Photo - A view of Charles Bridge on the Vltava river and the city center in Prague in Czech Republic in a cloudy day. A view of Charles Bridge on the Vltava river and the city center in Prague in Czech Republic in a cloudy day.